Hiltraud Reeder lives in Mid-City and says the hole outside her house has been open since April, she can't use her driveway. 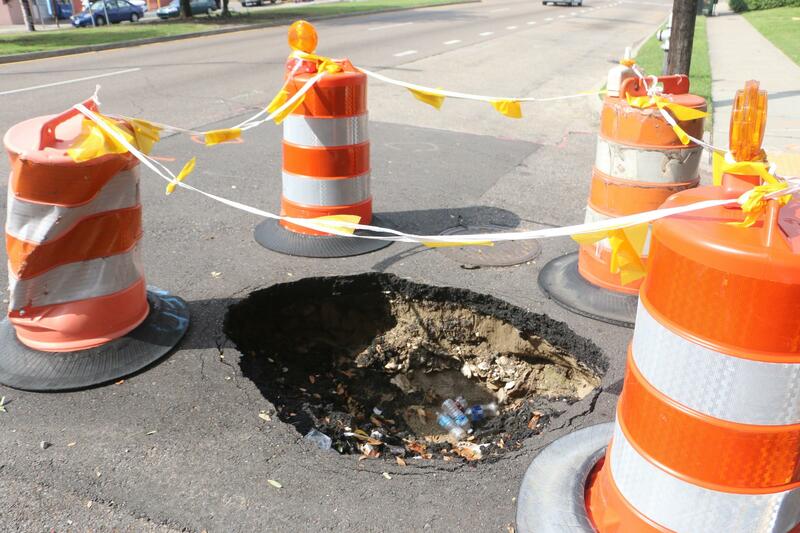 New Orleans’ streets drew national attention this spring after a giant sinkhole opened up downtown during JazzFest. Since then, several more holes have made it into local news - in Uptown and Mid city. 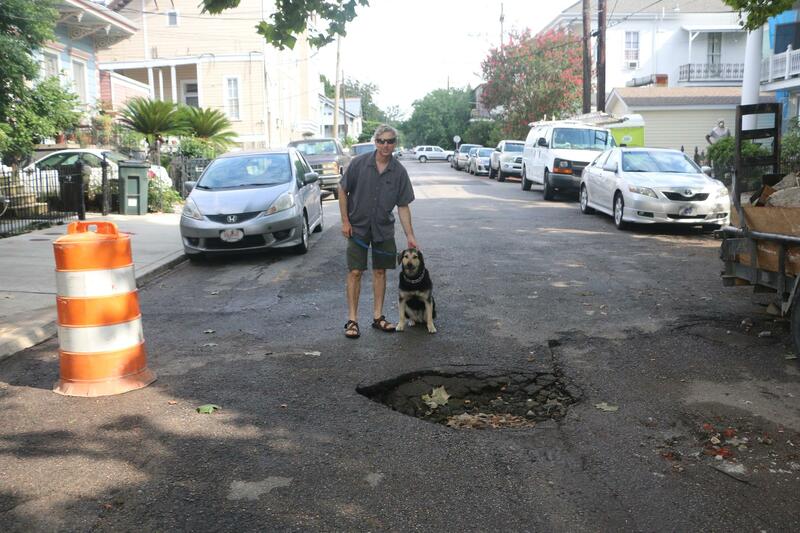 New Orleanians are used to complaining about persistent potholes in all parts of the city - but, sinkholes are a different animal. I met Tulane University professor Alex Kolker at Constance and First Streets Uptown - where a big hole in the middle of the street was slowing down traffic. It’s about two feet wide and a foot deep. We watched as drivers figured out what to do. They slowed down guided their wheels over the hole. It’s a pretty familiar scene here in New Orleans. Drivers dodge gaping holes in city streets on the way to work - eventually learning where they are and adapting commutes accordingly.  Kolker is a professor of earth and environmental science at Tulane. He studies the coast. And he gets excited about these holes. He likes to figure out how they formed. This one, he says, was probably caused by a broken pipe. He inspects the buckled street, and notes that the sinkhole is in a larger depression about the width of a house. Diagnosis - it was caused by a few factors. One of those is subsidence, which is the sinking of the ground. “We’re getting some erosion, which is the wearing away of the surface sediments - so the ground sinks from underneath, probably as pipe has collapsed and then the edges erode as cars drive their tires over them,” says Kolker. Alex Kolker is a professor of earth and environmental science at Tulane University. He says this sinkhole in Uptown was probably caused by a pipe leaking underground. It’s a sinkhole, not a pothole. The distinction is important. Potholes form on the surface - sinkholes form when space opens up underground and the surface sinks. They’re less predictable and more dangerous. They can happen suddenly. It turns out New Orleanians talk about these problems a lot online - so from Facebook posts and blogs I made a list and went to check a few out, with Kolker as my sinkhole doctor. This one is Broad Street and Esplanade. Diagnosis - sinkhole. The shell was probably used to pave the road decades ago. Shell is weaker than pavement - it breaks down over time - then water seeps in and washes it away, creating a hole. The ground sinks. This sinkhole on Broad Street was likely caused by the compaction and erosion of a layer of oyster shells beneath the surface, which formed a hole and then the pavement collapsed. But this is not news in this city. Cedric Grant, director of the Sewerage and Water Board, says it’s time to address what’s underneath, not just pave over. Grant says most of the road problems we have today are because of decisions engineers made long ago, and leaky pipes - damaged by the flooding from Hurricane Katrina. Several feet of floodwater weighed down the ground and broke and shifted the pipes. Water flows out and scours away those layers underneath the top pavement. The city just received $1.2 billion from FEMA to help replace many roads and pipes. Reeder says a big hole opened up outside her house back in April and she’s made endless calls to the city to get it fixed. Diagnosis - sinkhole or pothole, and cause? Unclear. Regardless, the problem is similar to the other two we saw - more leaking pipes and old infrastructure. Rain gardens help. And special pavements that let water through. He says the city would be wise to better track sinkholes and which areas are sinking fastest. But...messed-up streets? Not going away. Mayor Mitch Landrieu says he’s trying to help. He launched an initiative last year called Fix My Streets Nola which is working to get 1$0 billion to upgrade the city’s aging infrastructure. He points to new technology, like flexible piping that would bend as pavement sinks instead of breaking, and sonar leak-detection would let workers fix pipes before sinkholes collapse. There are just spot fixes - no comprehensive funding to dig up and re-do all the city streets. So for now, stay wary of the errant hole. Tourism has long been a part of the culture of New Orleans, but more people are visiting the state’s swamps and bayous than ever before. In Blind River, one local woman’s expression of faith has become an attraction - one that her family keeps going. Isaac Toups was born and raised in Rayne, La., outside of Lafayette. He garnered national fame this year when he made it to the second-to-last round on the reality cooking show Top Chef.